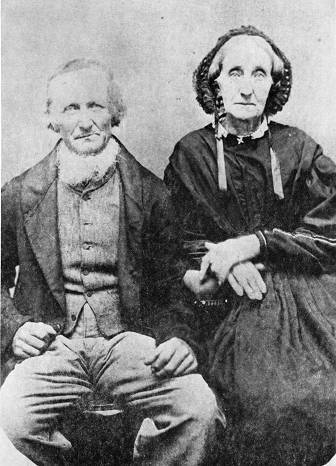 George Burrell, his wife Sarah Smith, their sons James, William and George came to America on the ship, Barque Thomas Carty. They departed the Port of London, Great Britain and arrived in New York on May 24, 1838. There is a David Smith on the same ship that maybe Sarah's brother that died on board. In the book "The Descendants of George Burrell" it says Sarah's brother (Alfred Smith) "suffered sea sickness and he did not recover but was buried at sea". There were only 4 Smiths on the Barque Thomas Carty and only David died. The information collected in this data set was taken from the National Archives Microfilm Series M237, rolls 1 through 95 ("Registers of Vessels Arriving at the Port of New York from Foreign Ports, 1789-1919"). It includes individuals who arrived in New York between January 7, 1820 and December 31, 1850. "The Descendants of George Burrell"